Having overnight visitors in your home can be both stressful and exciting. There are three things to keep in mind for proper etiquette and preparation; preparing the room, providing necessities, and adding special touches. With these three Guest Room Etiquette and Preparation for Visitors tips in mind, you are sure to have a fun and stress free visit. Prepare your guest room by making sure it is clean and has typical hotel-like conveniences. The less clutter the better, keeping the décor to a minimal. Make sure the sheets and pillows are clean and smell fresh. Low lighting is best for a comfortable spa-like feel. 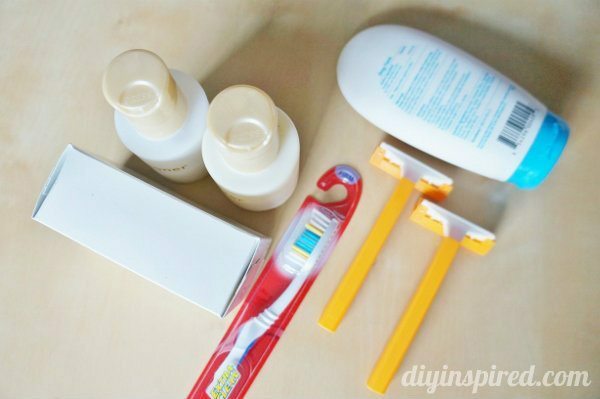 Create storage space and clear dresser tops and drawers for your guest’s toiletries and other belongings. 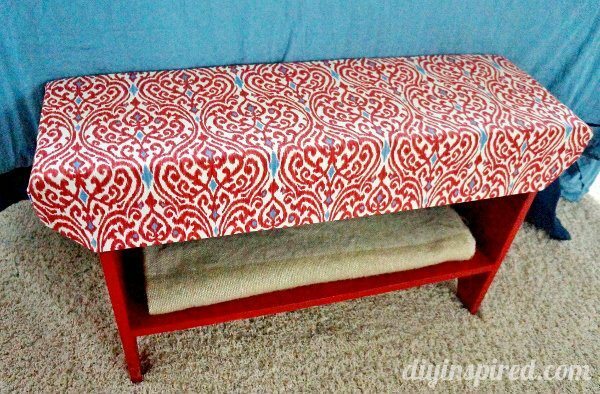 Add a bench or stool at the foot of the bed to hold a suitcase or to create an area to remove shoes or to change. I made this one! Be sure to have an accessible outlet for your guests to charge their cell phones or laptops. Provide some necessities that your guests may have forgotten. Clear out a top dresser drawer or nightstand drawer and add paper, pens, and other desk supplies for your guests to use freely. Make sure there are extra hangers in the closet and room for your guests to hang their clothes. During colder seasons make sure to provide extra blankets and pillows. They can easily be stored at the top shelf of a closet or under the bed. 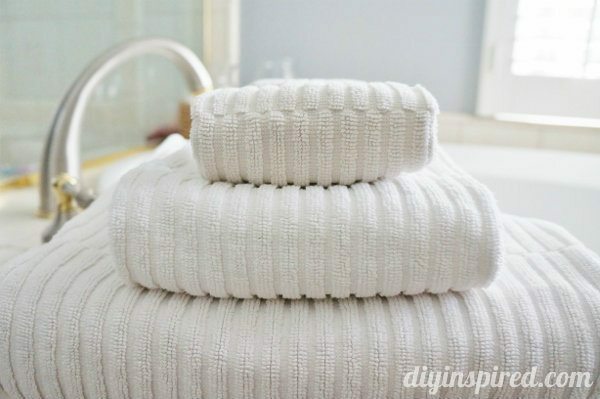 If you have an accessible bathroom for your guests make sure there are extra bath towels, hand towels, and washcloths. You can also provide a hairdryer, extra toilet paper, extra toothpaste or toothbrushes, Q-tips, razors, soap, and shampoo as well. It’s the extra added touches that make the bests hosts/hostesses. Make your guests feel pampered by providing a few unexpected goodies. Fresh flowers on a nightstand next to some night stand essentials like candy, an alarm clock, reading light, and tissues is a nice touch. 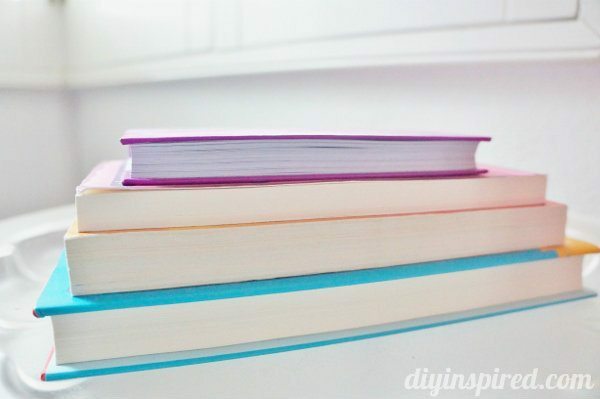 Consider leaving books and magazines for light reading or maps with marked local restaurants or rental car services. Go the extra mile and write down suggestions for local activities, flea markets, festivals, or concerts. On top of the dresser create a small area for bottled water and easy to grab snacks like granola bars, candies, gum, or peanuts. These small considerations and thoughtful touches go a long way. With these three ideas in mind, your guests are sure to feel a warm welcomed in your home. In case you missed it, here’s is my guestroom paint makeover as well as an upcycled headboard I made from a painting.